Thank you to everyone who participated in the first week of the Building What?! campaign. So far, we have contacted 15 of the 51 members of the New York City Council. When we are done with all 51 council members, there will be a big elephant in the room at City Hall. NYC CAN is in the process of meeting with individual council members, educating them in-depth and urging them not to let the elephant go ignored. Don’t expect immediate results, but do expect the seeds we are all are planting together to bloom as public opinion continues to shift in our favor. On Thursday, 9/11 family member Jane Pollicino sent a powerful letter to one of Council Member Daniel Garodnick’s aides that surely found its way to the council member. This is a high quality 'best parts' montage of the documentary film lasting just 32 minutes. The unabridged version of "The Power of Nightmares" lasts 3 hours and goes back to the origins of Islam and neoconservatism. It was originally aired on BBC2 in October 2004, in a series of three one-hour episodes. Please vote for the video on Dailymotion so more people become exposed to it. "The Power of Nightmares: The Rise of the Politics of Fear" is a BBC documentary film which demonstrates that Al Qaeda does not exist and that the idea of terrorism as a global menace "is a fantasy, which has been exaggerated and distorted by politicians. It's a dark illusion that has spread unquestioned through governments around the world, the security services and the international media". FOIA CollageRecently released FBI documents prove the existence of highly sensitive National Security and criminal investigations of “Turkish Activities” in Chicago prior to September 11, 2001. These documents add further support to many of the allegations that former FBI translator Sibel Edmonds has claimed, in public and in Congress, since 2002. The documents were released under a Freedom of Information Act (FOIA) request into an organization called the Turkish American Cultural Alliance (TACA), an organization repeatedly named by Ms. Edmonds as being complicit in the crimes that she became aware of when she was a translator at the FBI. For only when we put our bodies to the gears will the machine stop. A new page containing 400 Medical Professionals has been added to the PatriotsQuestion911.com website at http://patriotsquestion911.com/medical.html. * Herbert J. Hoffman, MA, PhD – Former Chief Mental Health Coordinator and Director of Manpower Development and Training, Massachusetts Department of Mental Health. * John W. Travis, MD, MPH – Physician and author. A leading figure in the Wellness Movement. The website now features statements by more than 2,500 credible individuals that criticize, question, or contradict the official account of 9/11, with more being added all the time. I LOVED Anthony's "This is an Orange" and now, here's another fantastic piece from him. Please forward far and wide in order to wake up more!! 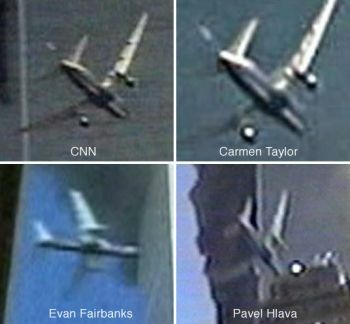 Another seriously undeniable flaw in the 'official' 9/11 story. In his recent letter, Morris Medvidofsky tries to dismiss the 9/11 truth movement by pointing at the president of Iran’s recent remarks on 9/11. In the context of public statements by thousands of prominent American scientific, military, intelligence and government professionals who don’t buy the official 9/11 story, Ahmadinejad’s rants are no more than an irrelevant blip on the screen. Below, I list several examples of significant people, their statements, and other news items ignored by the media. 21 mars 2010 — Cindy Sheehan was arrested at the White House in an anti-war rally, where thousands of anti-war protesters gathered in Washington DC on March 20, 2010, calling for the immediate withdrawal of U.S. troops from Iraq and Afghanistan, and an end to U.S. wars across the globe.